Home Running to lose weight. How to lose weight by running. Running to lose weight. How to lose weight by running. 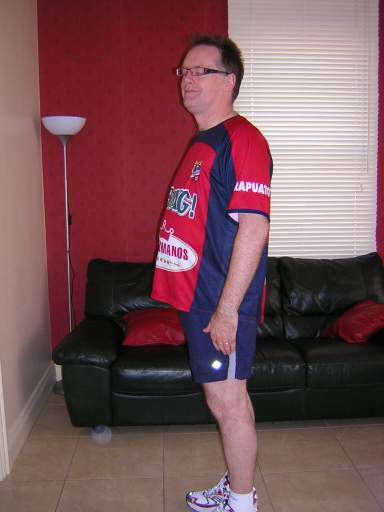 Running To Lose Weight : My husband Dominic has decided to start running to try and slim down! After years of indulgence and partying he has added 25 kgs to his once slim frame. Now he has awoken and decided it is time for a change (need just to check that it is not April Fools Day!). So today Thursday 16th April 2009 we made a trip into Belfast to purchase some running shoes, especially designed for overweight runners (lots of cushioning!). Over the next few weeks he is going to faithfully chart his progress with a detailed training diary. He is hoping this will inspire both him and others in similar circumstances. Run/Jogged 10 minutes, including 2 x 1 mins walk breaks. 5 Miles walk from Lurgan to Moira. Ran 1 mile/ 12 minutes couple of short walk breaks included. 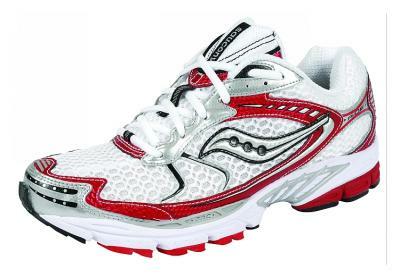 By the way the shoes I am using are Saucony Ride with Pro/Grid cushioning and are a 9 and a half size, one half size larger than my civilian shoes. PM:Added another 2.5 mile casual walk in the spring sunshine with the kids. That will do for a start this week! Ran 10 minutes plus brisk walk 30mins. I deserve some Vino Tinto! Ran 10m.O4s = 1 mile. Getting fitter? Plus walked 30 mins am and …another 30 minutes this evening. Two half hour walks one am and one pm. Still a long way to go in this running to lose weight program. Incidentally current weight is 92.7kgs, only another 20kgs to go! I have promised myself that if I get down to 73kgs I will buy myself one of those Superfast Cervelo Bikes and start racing on the bike again, as well as running! 12 mins run am (about 1.2miles/2km), and the 30 mins walk am and 30 mins walk pm. Maybe sub 92kg by 1st MAY:)? sort it out and take the “weight” off your mind. 12 mins run evening, plus now usual 30mins walk am and pm. And the prize…yes Vino Tinto! Stephen Nolan, my husbands favourite radio show read more here. If you have any comments questions or words of encouragement about Dominic and his running to lose weight program, just add them here..
Coming up soon the next month’s campaign of running to lose weight.But first where is that vino? Back from Running to Lose Weight to Belfast History. Return to make a web page. Return to home page of Belfast Northern Ireland website.